DAYTONA BEACH, Fla. (Jan. 27, 2017) – The time is nearly here for the unveiling of the 2017 Harley-Davidson Factory Race Team that will campaign for top honors in American Flat Track’s premier class – AFT Twins. That announcement will be made on action sports’ big stage, aired live during X Games Aspen on ESPN tomorrow, Saturday January 28 at 2:44 p.m. ET. The team unveiling everyone has been waiting for comes on the heels of Harley-Davidson Motor Corp.’s announcement of the Factory Team’s machine of choice for 2017 – the XG750R. Although the brand has decades of success with the XR750, Harley-Davidson looks to usher in a new era with its modern flat track racer. 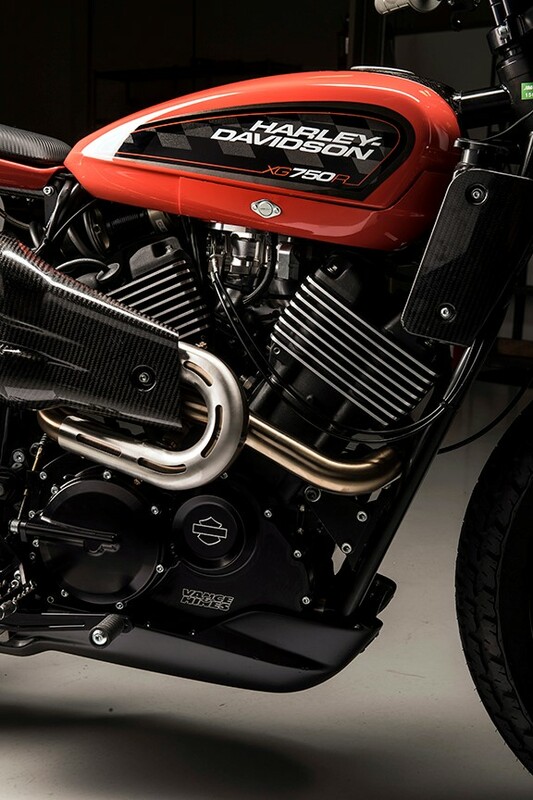 Harley-Davidson’s XG750R flat tracker is powered by a race-modified, liquid-cooled, fuel-injected 750cc Revolution X™ V-Twin engine originally engineered for the Harley-Davidson Street® 750. The XG750R raced through a development season in 2016 alongside the air-cooled Harley-Davidson Factory Team XR750 motorcycles. The XR750 has carried racers to countless victories and 37 AMA Grand National Championships in 44 seasons of competition. That winning DNA is the foundation of the XG750R, an evolutionary step into the future of flat-track racing. Its race-tuned Revolution X engine and racing chassis were developed in collaboration with Vance & Hines Motorsports. The XG750R flat tracker motorcycle is not a production model. The 750cc XG Revolution X V-Twin engine is for sale through Harley-Davidson dealers today and can be modified for racing use by aspiring dealers and privateers. American Flat Track will kick off the 2017 season during Daytona’s Bike Week festivities on Thursday, March 16 with the all-new DAYTONA TT, built inside the trioval at Daytona International Speedway. The DAYTONA TT will mark the dawning of a new era for America’s most historic form of motorcycle racing, and the “World Center of Racing” will serve as the curtain-raiser for the 2017 American Flat Track season.